Published March 9, 2015 at 2645 × 1602 in Samples of Our Work: Paintings. 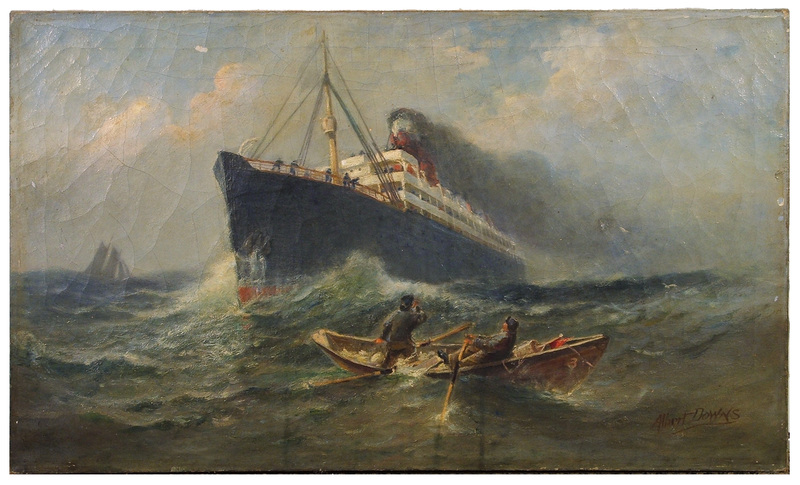 This seascape, “Out of the Mist” by Albert E. Downs, had a coat of discolored varnish as well as a layer of cigarette soot obscuring the original colors of the dramatic scene. The paint layer was fragile, with cracks which had progressed to losses in areas.